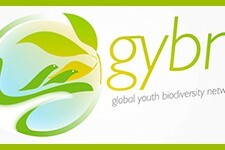 The Global Youth Biodiversity Network (GYBN) is the youth constituency in the negotiations under the UN Convention on Biological Diversity (CBD). It seeks to raise awareness among young people of the values of biodiversity and connect individuals and youth organizations in order to build a global coalition for the protection of biodiversity. It is committed to bring the opinions and positions of young people into the negotiations so that they are heard and taken into consideration. GYBN seeks to inspire global youth and future leaders to work for the sustainable use and conservation of biodiversity for a healthy environment and society. Young people aged 18-30 can become an individual member of GYBN or register their organisation. More information on joining is available here: http://gybn.org/join-gybn/. The Steering Committee is the main coordination body of our network and ensures that the mission and goals of GYBN are achieved.